“The winners will not only benefit from the expertise of the teams within both Danske Bank and Catalyst Inc but will also have the opportunity to learn from international start-ups and best practice through Danske Bank Group” - David Allister, Head of Partnerships and Digital Alliances at Danske Bank. 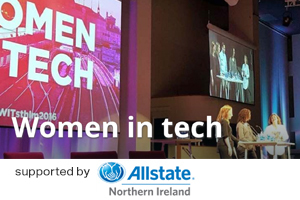 Danske Bank has joined forces with Women in Business to launch a brand new competition for entrepreneurs in the NI tech industry. Four local tech entrepreneurs win a year's free access to the new Catalyst Belfast Fintech Hub co-working space, which officially opened back in September. The competition is open to all Women in Business members working on innovative products and services in fintech or related tech sectors. "There is a growing number of local early stage technology companies operating in the finance space who are ambitious to scale and expand into new markets. At Danske Bank, we want to leverage our skills and networks to encourage and support these companies and are delighted to partner with Women in Business to give four start-ups the opportunity to join Catalyst Belfast Fintech Hub" - David Allister, Head of Partnerships and Digital Alliances at Danske Bank. To apply for a chance to win a spot in the new Fintech Hub, download an application from www.womeninbusinessni/dansketechstars and submit it by 17 December 2018. Shortlisted candidates will be contacted and invited to pitch their business ideas in a Dragon's Den style pitch event on 11 January 2019.